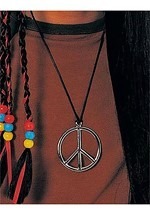 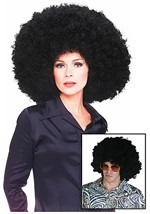 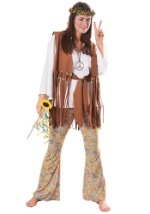 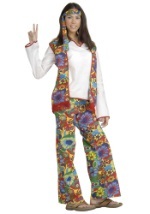 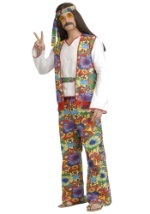 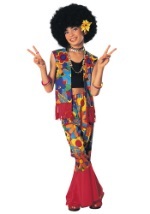 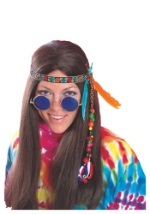 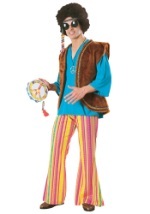 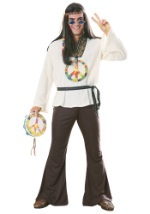 With this Hippie Handbag, you'll help everyone feel the love and peace this Halloween season. 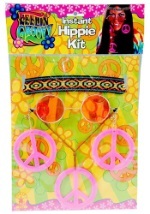 The far out purse has denim-like appearance with a colorful peace sign on the front. 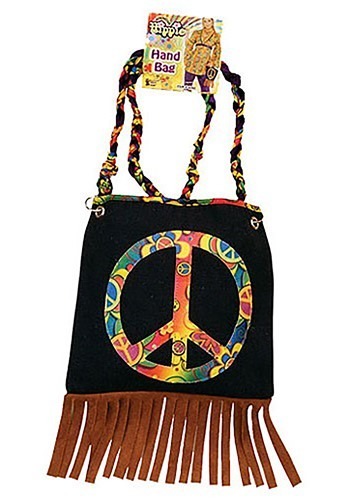 The peace sign is cut out from a 60s style fabric and matches the long shoulder strap and ties attached at the top used to secure the purse shut. 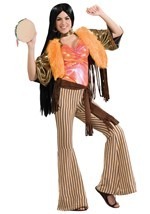 The purse is complete with brown fringes along the bottom. 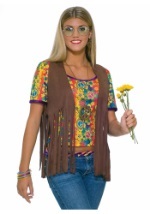 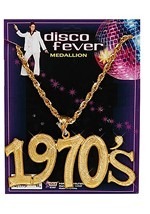 Everyone will be digging this bag when you pair it with any of our groovy 1960s costume.